Take a peek at the fantastic destinations waiting for you in Bolivia. Enjoy our Bolivia travel brochure with some of the top destinations to visit. 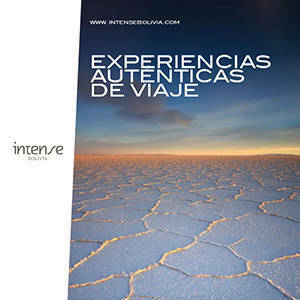 Why trust Intense Bolivia? We are friendly, local and experienced Bolivia travel professionals with more than ten years in the travel industry. We are quick to respond and we listen to your needs to provide a personalized trip itinerary. We are an experienced online travel agency and tour operator. We want to share our know-how and experience to make your trip to Bolivia safe, authentic and unforgettable. Immerse yourself in the mystique, tradition and beauty of Bolivia and leave the planning to us.